Although different in many respects – compositional approach, geographical origin, language – the works that make up this adventurous programme from the Norwegian Soloists’ Choir and its artistic director Grete Pedersen are all, to quote Shakespeare, ‘such stuff as dreams are made on’. In various ways they refer to night and dreams, to the distant past or to an uncertain future. With composers from Denmark, Norway, Finland, Germany and Greece, and texts ranging from fragments of ancient Assyrian and Sumerian (in Xenakis’s Nuits) and the 8th-century Wessobrunner Prayer (Lachenmann) to poems by Balzac (Saariaho), Nietzsche (Janson) and Rilke (Nørgård), the concept of ‘here and now’ becomes blurred and, indeed, dreamlike. 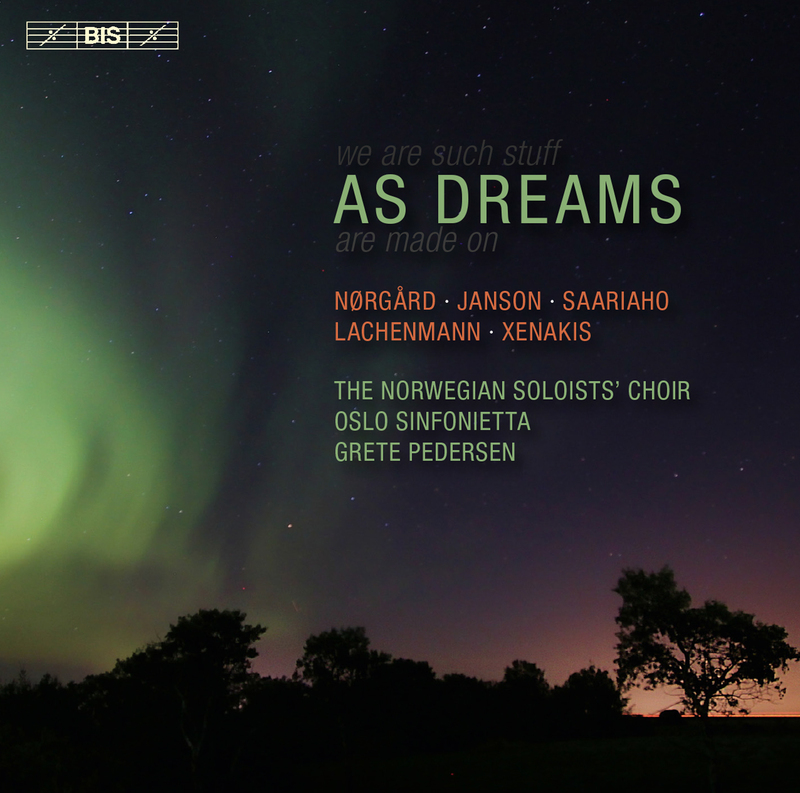 The choir and Grete Pedersen released their first disc for BIS in 2007 – an all-Grieg programme awarded a Diapason d’or and with interpretations described in Le Monde de la Musique as ‘so beautiful as to make you lose your breath’. The five titles that have followed since then range from the folk-inspired ‘White Night’ (‘some of the most striking and moving singing put down on disc for years’, Gramophone) and most recently a programme combining works by the Norwegian composer Knut Nystedt (1915 – 2014) with motets by Bach (BIS-2184). Meeting the different challenges posed by such varied repertoire with flawless and always idiomatic performances, the Norwegian Soloists’ Choir is a wonderful instrument in the hands of Grete Pedersen. 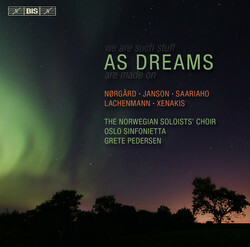 On the present disc musicians from Oslo Sinfonietta join the team in the accompanied works, which include Nørgård’s Singe die Gärten for eight-part choir and 8 instruments and Janson’s Nocturne for double choir, 2 cellos, harp and 2 percussionists.